Disputes between the University of Toronto Students’ Union (UTSU) and dissatisfied constituent student groups have been chronic at this university for almost a decade. Back issues of this publication often make for depressing reading, as we see the same unresolved issues being brought up and, year after year, distracting from more pressing concerns that are recognized by students on all sides. Struggles over electoral reform, salaries, the transparency and responsiveness of the union’s governance structure, and some of the union’s advocacy efforts and priorities, among other issues, are nothing new. 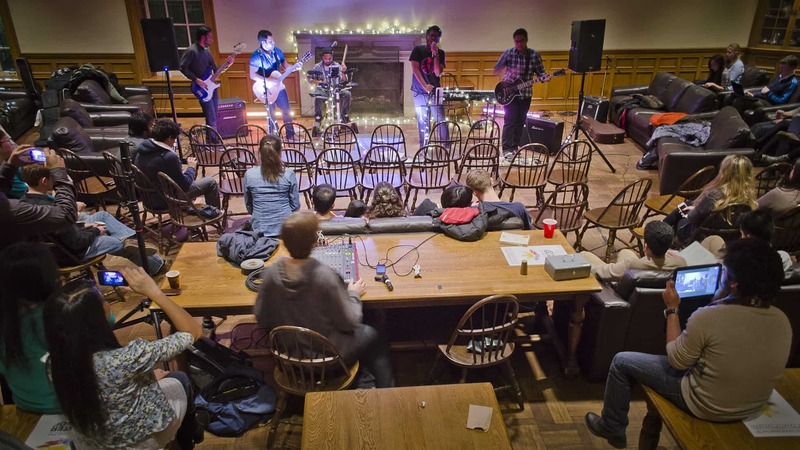 These disputes continue to divert politically active students’ time and energy away from addressing problems such as the university’s lack of student housing and student space, the rising cost of education, the decreasing quality of education, unfair and illegal fees, equity, accessibility, mental health resources, and more. With the ongoing controversy concerning fee diversion, these disputes have reached unprecedented levels of intensity and complexity. In the past, the administration has been satisfied to monitor the situation and let student leaders fight it out among themselves. That the university has now taken steps to force all student societies into negotiations shows that it recognizes that something has to change. Dissatisfied divisional societies are tired of paying for a union they do not support, and must also be tired of fighting for fee diversion. The union must be frustrated by having its claim to represent all undergraduates weakened by internal disputes, and by the amount of time and energy union staff and executives spend managing these problems. Other student societies, including those divisions not pursing fee diversion, must be tired of having campus discourse dominated by these controversies, rather than focusing on the goals articulated by their members. Most importantly, we have to recognize the very large number of students who are turned off student politics altogether, and whose voices are rarely heard. To top it all off, the university has delayed the multi-million dollar Student Commons project until the fee diversion issue is resolved, so every stakeholder will benefit from resolving this interminable controversy. The Student Societies Summit presents an ideal opportunity to work towards settling disputes. Yet, as meetings of the summit continue, it is becoming increasingly clear that the posturing of both the union and certain divisional societies is contributing to a frustrating lack of progress. The Trinity College Meeting (TCM), Engineering Society (EngSoc), and Victoria College Students’ Administrative Council (VUSAC) are all maintaining their stances on fee diversion from the UTSU, while the union maintains that these divisions’ referenda on the subject were illegitimate. Fee diversion need not prevent substantive discussion of governance structures, a topic that the summit seeks to address. No one should expect a quick resolution; these are complicated and long-standing issues. Yet, we cannot expect any resolution at all if neither side is willing to compromise. Leaders of those divisions seeking fee diversion have said that the democratic will of their constituents, as expressed in the referenda, constrain them to pursue fee diversion and make it impossible for them to consider any other resolution. This seems logical, but if these leaders were truly open to compromise, there is a simple alternative. Any compromise resolution negotiated at the summit could be put to their membership in a new referendum and either ratified or rejected. Although former U of T president David Naylor said last year’s referenda have no expiration date, this does not mean that they bind the leaders of these divisions to pursue fee diversion indefinitely. This is an excuse and a roadblock, rather than a real obstacle. Historically, these divisions have always said that they would prefer to see the UTSU reformed, and that they are now trying to leave the union because they do not believe reform is possible. Yet, through the summit, changes to the union’s structure and to student governance are possible. Although decisions aren’t binding, they will influence Governing Council. Statements made this week by student leaders at Victoria show an encouraging willingness to move forward and treat fee diversion as a last resort. For its part, the UTSU must stop pretending that the grievances of dissatisfied students are something new. It is preposterous to feign surprise at complaints about elections and governance structure that have been well-known on campus for nearly a decade. The union must also show that it takes the summit seriously. UTSU president Munib Sajjad remains noticeably absent from these meetings. If the UTSU was taking the summit seriously, it would send its president — as every other participating division has. On November 15, the Innis College Students’ Society (ICSS) submitted a letter to the summit, criticizing the UTSU’s involvement in the summit and calling on Sajjad to attend. It is telling that the ICSS has expressed this frustration, since it historically has not been involved in opposition movements, and has remained silent throughout the current governance debacle. Making an exception to the summit’s rules to allow Sajjad to attend will certainly further the summit’s overall goals. The union must realize that its ability to represent and advocate for its membership as a whole is being eroded by this ongoing dispute. Important bodies — such as the university administration and the provincial government — no longer seem confident in the UTSU’s representation of the university’s students and have started to consult with divisional leaders directly. This week, at the UTSU’s Annual General Meeting (AGM), another important issue may be sidetracked by these disputes. Last year’s meeting came to an abrupt end when members present voted against the agenda. Opposition leaders are not unreasonably frustrated by the union’s decison to not include “Approval of the Agenda” on the agenda for this year’s meeting. They are also keen to protest the absence of motions concerning fee-diversion submitted by UTSU board member and former EngSoc vice-president Pierre Harfouche. There has been some suggestion that in order to protest the absence of agenda approval, students opposed to the union might vote down other motions. Such motions include one which will amend the union’s bylaws to comply with the Canada Not-For-Profit Corporations Act — which, if it fails to pass, could lead to serious legal and financial ramifications for the UTSU. Student leaders who feel that they have a mandate from their divisions to pursue fee diversion are free to argue at the agm. However, a word of caution is warranted here: voting down the compliance motion would demonstrate a serious disregard for students in other divisions by imperiling the union’s ability to serve its members in all divisions, including those not pursing fee diversion. This publication cannot prescribe the outcome of the summit; that is the responsibility of elected student leaders. There are, however, some areas that any solution must address. First, there must be an arrangement to share fees and responsibilities between the union and divisional societies. The university has rightly pointed out that there are many examples of federal funding and power-sharing arrangements that could be replicated. The university has also provided experts in the field to help craft a model that will both accommodate divisional interests and keep the benefits of a cohesive union. Second, the union must make changes to its governance and elections that will make the organization more responsive and accountable, as well as give students confidence that their union is fair, representative, and democratic. The Student Societies Summit is an unprecedented opportunity to fix student governance at U of T and free our campus from the disputes that have poisoned student politics for far too long. Right now, this opportunity is being squandered by the lack of serious commitment from some student leaders; if the summit is to be more than a forum for institutionalized bickering, this must change. The 2013 Annual General Meeting (AGM) of the University of Toronto Students’ Union (UTSU) will not include a motion to approve the agenda. Jeremy Settler, organizer for the Canadian Federation of Students (CFS) of Ontario, confirmed that there is no rule or procedure in place to enforce a vote on the agenda for any members of the federation. “It’s up to the local student union bylaws and procedures. It’s not a set format… It’s up to each individual students’ union,” he said. Sajjad agreed, saying that the move is intended to allow students to discuss more relevant issues. Despite Wathey alleging that the vote on the agenda was a motion included in the 2012 AGM because of a mistake, the 2011 AGM package also shows that a motion to approve the agenda was included. 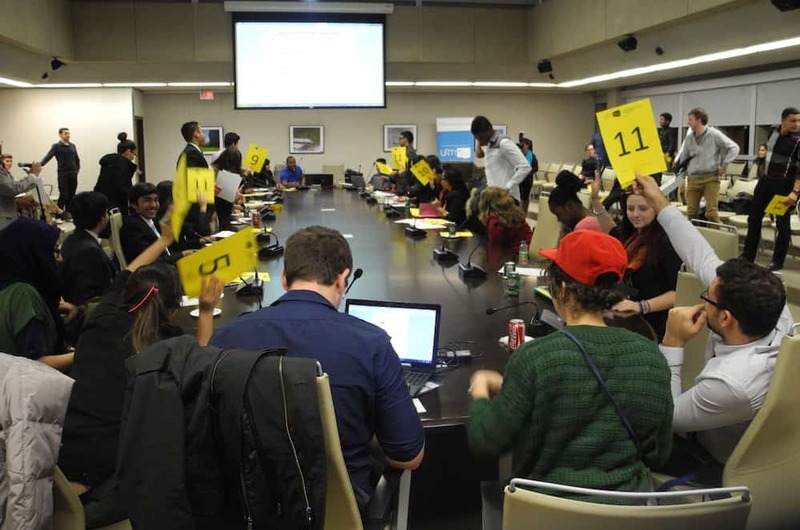 Past records of University of Toronto Scarborough and University of Toronto Mississauga students’ unions, as well as those of the CFS, show that their general meetings include motions to vote on the agendas. While the UTSU may have no obligation to include the agenda vote in its AGM, representatives of student groups at the university see the removal of the vote on the agenda as a means to sidestep student involvement. “I am deeply concerned by the change in procedure, considering the complete lack of transparency from the UTSU with respect to any sort of justification for this move,” said Jelena Savic, president of the Victoria University Students’ Administrative Council (VUSAC). Harfouche said issues such as fee diversion and online voting are past examples of items that the UTSU did not want to discuss until it was forced by the university. Harfouche had proposed three motions to be added to the AGM: two on the Student Societies Summit and one related to fee diversion. All were ruled out of order by the UTSU board of directors and not added to the AGM. Aside from limiting dissent, Savic says there a number of reasons why students should be able to vote down the agenda. She contends that a number of motions on the 2013 AGM — such as the vote on the UTSU complying with the Canada not-for-profit corporations act — are not appropriate for the AGM. The student body was not consulted about these changes and information was not provided as to what it will mean if the motion is adopted. “Effectively, we are expected to vote on something that we know nothing about. This motion expects that students will act as a rubber stamp, in the midst of summit discussions. 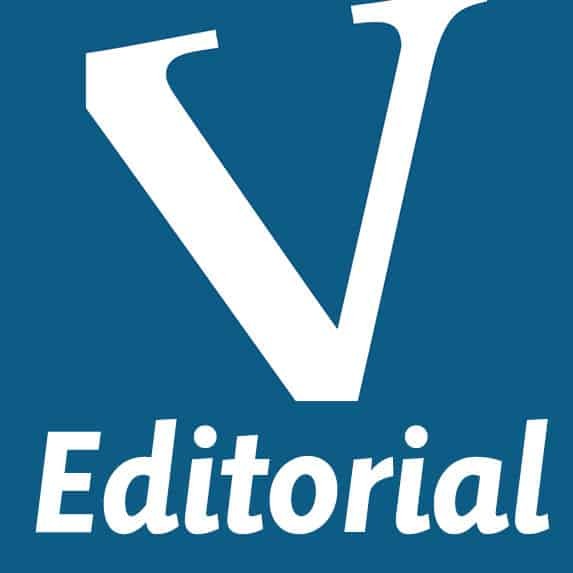 I would vote wholeheartedly against the approval of the agenda — if I had a choice,” said Savic. While the UTSU has limited the ability of students to shut down the AGM as they did last year, Vigneswaran says that will not stop students from speaking their minds. The UTSU AGM is scheduled for November 27 at 6:00 PM. A previous version of this article incorrectly identified Vip Vigneswaran as a Victoria College director on the UTSU board of directors. Vigneswaran is a Woodsworth College student. When Sharon Danley, campaign manager for the Green Party, went to St. James Cathedral to place her vote in advance for the Toronto Centre by-election, she arrived to find an hour-long lineup, the returning officer (RO) missing, and voters without election cards. This prompted Danley to send a complaint to Elections Canada (EC), where she accused the organization of voter suppression. “In my opinion, these actions are akin to voter suppression, and speaking for myself only, I am outraged,” Danley wrote. Among Danley’s concerns was the placement of the polling station, which she claimed was difficult to access. “The polling station for election day is several blocks away from where we have normally voted for years. We are a building of elderly, reduced mobility, and disabled people making it extremely difficult to vote,” Danley said. Danley was also dissatisfied with the waiting time at the polling station. “People were leaving without voting because they couldn’t wait that long,” she alleged. Angela Zhu, treasurer of the University of Toronto New Democrats and a volunteer on the New Democratic Party (NDP) candidate Linda McQuaig’s campaign, received two similar complaints. The NDP office received at least one message from a man who complained of long lines at a polling booth near Regent Park. Lauren Tedesco, a spokesperson for Liberal Party candidate Chrystia Freeland’s campaign, said that the Liberal Party was satisfied with the execution of the advanced polling. “Running election day and advanced polls can be a monumental task, and there are always logistical challenges and room for improvement. It would be helpful to have more staff and better trained staff, but we are satisfied with the way the advance polls ran, and we commend Elections Canada staff — both the management folks and the casual staff who came in for just a few days, for their diligent efforts,” Tedesco said. Diane Benson, media relations at EC, dismissed Danley’s claims. “The EC does not own the locations where the polling stations are situated, and that their availability is not always guaranteed for election time,” she stated. Benson explained that EC requires that polling stations meet extensive accessibility criteria, and that each RO has an accessibility checklist for when they rent locations. Benson does not believe that Danley’s experience constitutes voter suppression, as the problems Danley encountered were not disruptions of the electoral process intended to prevent voting. Benson suggested that the RO may have been at training during Danley’s visit, or in the returning office, taking care of other duties. ROs are partially responsible for training the 800 staff members who work at the polls during election time. In regard to the issues of voters without elections cards, Benson clarified the process by which EC tries to ensure that each voter receives an election card: the voter receives an election card in the post, followed by a reminder a week later, asking the voter to check that they received their card, and that all the details on it are correct. The University of Toronto has moved roughly a quarter of all emails from UTORmail to a globally based Microsoft server, raising concerns that email will now be monitored by the National Security Agency (NSA). Since fall 2011, the university has moved over 135,000 students to a free Microsoft Outlook platform with servers located around the world, including in the United States. Over thanksgiving weekend, the system was upgraded to Office 365. The university describes the move as a user-friendly, cost-saving measure that was decided through an open and consultative process. This move has received little publicity from U of T’s Information Technology Services (ITS), who are responsible for implementing the switch. A series of town hall meetings and consultations by a small committee of students and staff from each campus were held prior to the switch. The meetings, which occurred over a period of more than two years, aimed to address the protection of privacy and identify the e-communication needs of students. Concerns over data mining by the NSA, as brought to light by former intelligence contractor Edward Snowden, were investigated. “Our agreement is with Microsoft Canada, but the services are provided by their world-wide cloud environment that includes US data centres,” said Robert Cook, U of T’s Chief Information Officer (CIO). Now that faculty and staff are facing a transfer to the same email platform as students, there is heightened anxiety over outsourcing to US-linked corporations. This is because Microsoft and the university cannot guarantee full privacy to their users. James Turk, executive director of the Canadian Association of University Teachers (CAUT), represents those against outsourcing. 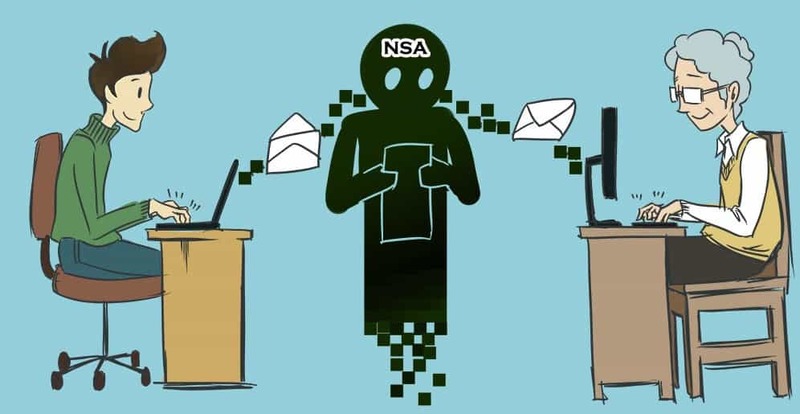 “All of your records and data come under American terrorist laws, so American cloud providers like Microsoft are obligated to turn over records in their servers to the NSA if requested, and the NSA doesn’t have to have a specific reason to do so. Microsoft is also required by law to keep customers in the dark about these requests,” said Turk. Andrew Clement, professor at U of T’s Faculty of Information, is also concerned about the cloud servers. “The university hasn’t done a good job of educating students on the dangers of outsourcing. What’s more, we know less about what’s going on in Canada in terms of surveillance, but we do know that the US has acted unconstitutionally and without appropriate oversight in the past,” he said. Cook noted that there was plenty of consultation and communication over the past two years as to the transfer of student email, and asserted that there is demand from the faculty to use the same service. “The infrastructure underpinning [the faculty’s] current services is end-of-life and at risk of failure. We want to equip our community with contemporary communications services that will support our academic excellence,” he said. One of the main motivations in switching to Microsoft is money. “Money saved by the university in providing commodity services is money that can be directed to the core university mission, including teaching and learning,” said Cook. Due to the drop in government funding for universities, U of T is looking to save wherever possible. “Microsoft has a sophisticated system and it is free, so it is a creative way for the university to save money,” agreed Turk. The alternatives to Microsoft seem few and far between. According to Clement, universities are hesitant to invest in their own cloud servers, which would fundamentally prevent issues with encryption. “The University of British Columbia (UBC) is doing it, so that could be a possibility,” he said. Students were given the option to not establish a Microsoft account, and instead have their email redirected to any service of their choice. However, most students decided to switch to Microsoft. “Fewer than one half of one percent of subscribers opted out of the Microsoft cloud and satisfaction is very high,” said Cook. A previous version of this article incorrectly stated that the email system was upgraded to Office 365 last week. The upgrade took place over Thanksgiving weekend. A previous version of this article incorrectly stated that approximately 1/4 of students have been switched. Approximately 1/4 of all emails have been switched. The University of Toronto Mississauga Students’ Union (UTMSU) prohibited media from filming its Annual General Meeting (AGM) on November 14. The Medium, UTM’s campus newspaper, was allowed to photograph and write about the event, but were not permitted to take video. “I got an e-mail on Wednesday, the day before the AGM, from Raymond Noronha, the president of the UTMSU, to tell me that we would be banned from taking video,” said Luke Sawczak, editor-in-chief of The Medium. “There were some students who brought up concerns to myself that they did not want themselves to be part of any videos during the Annual General Meeting,” explained Noronha. He and Sawczak met to discuss possible solutions to the situation, but could not come to an agreement. Noronha suggested that The Medium do interviews with students after the AGM so that it could receive consent, and privacy concerns would not be a problem. Sawczak noted that the UTMSU has recently been barring The Medium from filming many of its events, such as pub nights and some events during this year’s Frosh Week. “There’s a sense to me that there’s a stance of just trying to bar any new access that we could have,” he stated. According to Sawczak, Walied Khogali, executive director of UTMSU, had apologized for the searching of Ho’s bag and promised it would not happen again. On November 8, the Philippines was hit by Typhoon Haiyan — one of the most catastrophic tropical storms in the country’s history. In the two weeks since the disaster, the death toll has risen above 5,000, and the number of people displaced is estimated to be in the millions. In response to the tragedy, members of the U of T community have rallied together to raise money and awareness for these victims. Relief efforts were quickly mobilized by student groups across campus. Some who helped had personal ties with the Philippines, such as fourth-year global health student Camille Feir. Feir volunteered with the Red Cross in the Philippines this past summer in the Filipino province of Eastern Samar and city of Tacloban, Leyte — areas that were heavily affected by the typhoon. Though members of her family do not live in the area, Feir was worried for her close friend, whom she met while volunteering. “The last thing I heard from her was on Facebook, when she updated her status saying that, ‘The winds are so strong I can’t sleep.’ It was very sad. I didn’t hear from her again after that.” Feir has since heard from her friend and the group of volunteers she worked with, who are fortunately safe. The Filipino Students’ Association of Toronto (FSAT) at the St. George campus has also been active in raising funds. FSAT president, Liza Caringal stated: “We are devastated about what has happened in the Philippines, as many of our family and friends have been affected, though we know that the Filipino community is resilient and will persevere through this hardship.” On Friday evening, FSAT held a candlelit ceremony at Hart House Circle, where students took a moment to send thoughts and prayers to their loved ones overseas. FSAT hopes to continue to raise awareness and money through bake sales, t-shirt and pin sales, and an upcoming pub night. The university administration has also reached out to the Filipino community. On November 13, University of Toronto president Meric Gertler announced: “On behalf of the entire University of Toronto community, I wish to extend our most profound sympathies to those suffering from this disaster.” Additionally, the university has planned an institutional observance event, in coordination with FSAT, to take place on November 27 at the Multi-Faith Centre. The event invites all members of the U of T community as: “an opportunity for our community to reflect on the devastating impact of the typhoon, and show our solidarity with those who have been directly and indirectly affected by these events.” Richard Chambers, director of the Multi-Faith Centre, calls the university’s ceremony a service of solidarity. The event is designed for people to acknowledge the tragedy, as well as to demonstrate the resilience of the Filipino community through music and dance. Both Gertler and a student representing the Filipino community will speak at the event. Shortly after the disaster, the Government of Canada announced a Typhoon Haiyan relief fund, pledging to match every dollar individuals donate to Canadian registered charities for Typhoon Haiyan. This includes charities such as the Canadian Red Cross and Doctors Without Borders. The governments matching program will run until December 9. The university’s contract with Access Copyright will expire on December 31, 2013. On November 5, 2013, U of T released a statement detailing what would happen if the negotiations were to prove unsuccessful. The statement outlined that the university would create a similar model to the one already in place at other universities across the country, namely York University and the University of British Columbia (UBC). These systems have created a copyright office run by the existing staff of the university, who would oversee all copyright licenses and educate university professors on how to properly obtain copyrighted work. Some are critical of such a system, including Jim Romano, co-chair of Access Copyright. Romano feels that the university is underestimating the time and money involved in setting up an independent system, and that it will soon find itself overwhelmed by the process. “I think they’re going to be hauled into court for copyright violation pretty quickly. They are in denial about what is covered by the licenses they own,” argued Romano. Katz is a professor in U of T’s law faculty, and has long advocated for the removal of Access Copyright in favor of a university run system. He referred to the Copyright Modernization Act that came into effect in July 2012 after a ruling by the Supreme Court, placing a significant amount of material under the label of fair dealing, and making Access Copyright’s current royalty tax unfair in the opinion of many institutions. The UTSU is also against the university continuing a relationship with Access Copyright. Agnes So, vice-president, university affairs for the union, explained what it would like to see come out of the negotiations: “The UTSU would like the University to develop a Copyright Office for students, similar to the University of British Columbia. There should be no additional licensing fees for access to materials for educational services, as spelled out in the Copyright Act,” said So. She also listed the $26 students would save if the university was to choose this model, going forward. Regehr explained in broad terms what the university plans to do if negotiations with Access Copyright are unsuccessful, citing library acquisitions, licenses of various kinds, and open access materials as resources available to the university and its faculty. She also mentioned the Copyright Act’s “fair dealing” provisions and other statutory permissions that do not require additional payments to rights holders. “As a long-term strategy, the university continues to enhance our copyright compliance capacity through a number of mechanisms, and we are continuing to educate all instructors about how to use copyrighted materials efficiently and lawfully,” said Regehr. Negotiations between Access Copyright and the university are due to come to a close by the first week of December, at the latest. With files from Tanya Rogova. On Monday, November 18, 20 University of Toronto students participated in the second annual Great Barrier Hunt. The event, organized by Students for Barrier-free Access (SBA) and the Association of Part-Time Undergraduate Students (APUS), aims to raise awareness of accessibility issues on campus. Using the format of a scavenger hunt, participants perform an accessibility audit of U of T buildings. Aisha Raja, centre director for SBA, noted: “Something that many students encountered during the hunt and brought up over and over again is the lack of proper signage. There’s no standard for signage. Every building follows its own rules. Some have really small, hard to read signs and [do] not [have] clear instructions.” Raja cited North Borden as an example of a building with improper signage. According to Siewrattan, the university is not fulfilling its obligations under the Accessibility for Ontarians with Disabilities Act. The university currently relies on “user-based identification of barriers and user-initiated strategies for accommodation,” she noted. Siewrattan alleges that this approach means that accessibility issues can go uncorrected for long periods of time. 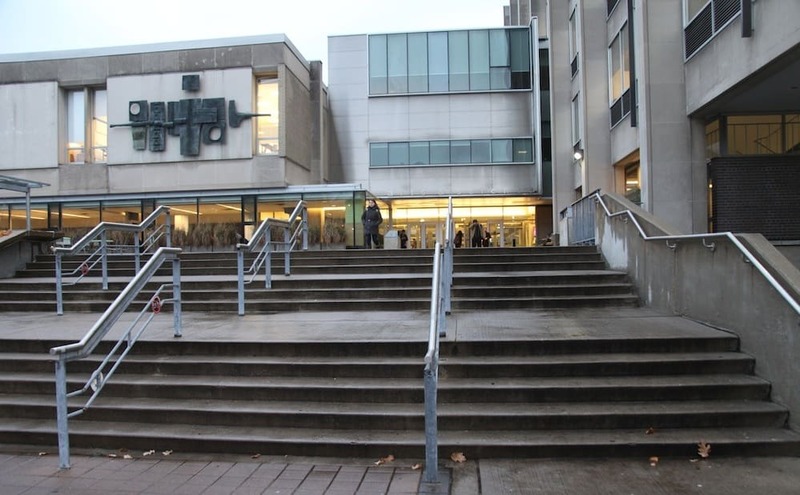 For example, Sidney Smith Hall, one of the busiest buildings on campus, does not have a wheelchair ramp at its main entrance on St. George Street. Yolen Bollo-Kamara, vice-president, equity of the University of Toronto Students’ Union, also expressed concern over the university’s current approach. “Often, accessibility issues are addressed after students are already in crisis or have been denied equity in access,” she said. At the university, most accessibility issues are addressed through Accessibility Services. Accessibility Services provides students with a number of services, including test and exam accommodations. The University’s Office of Space Management (OSM) works with Accessibility Services to address physical accessibility needs, such as elevators and power door openers. The OSM and Accessibility Servcies were contacted for this article. Both suggested contacting the other organization and declined comment themselves. Bollo-Kamara believes that the university’s slow response time is largely the result of underfunded programs. “There needs to be more funding for Accessibility Services and Counselling and Psychological Services (CAPS) in particular, so we can expand their reach,” she noted. According to Siewrattan, building accessibility issues usually have simple fixes. “A simple change could include more campus maps, elevators that announce floors, braille on signs, single-stalled washrooms, better lighting, [and] powered doors,” she said. Raja agrees. “I think the university has begun to undertake many important projects to begin addressing accessibility needs,” she noted, “but there still is much work that needs to be done.” Raja cited the Athletic Centre as an example of a building with a high standard for accessibility. Both APUS and SBA plan to run the event again next year.